Jake was from Wellingborough, and joined the Diamonds Development Centre as a striker for a number of seasons as a young player before joining Luton Town’s equivalent system. He returned to the club at the start of the 2008/2009 season and was offered a scholarship after some fine performances for the Under 18s in the Puma Junior Alliance. Although he was playing as a striker, he was also versatile enough to play as a central defender. 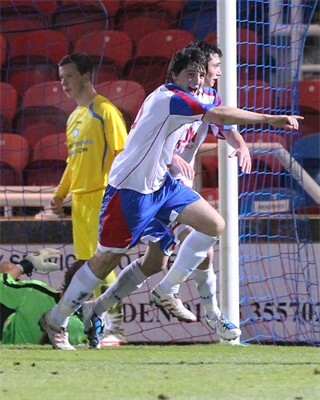 During his time as a first year scholar, he was a regular for the Under 18s, scoring 16 goals and moved into the second year of the scheme for the 2010/2011 season. He scored some amazing goals during the season, including two goals from inside his own half against MMU/Newcastle and Dartford Whites. 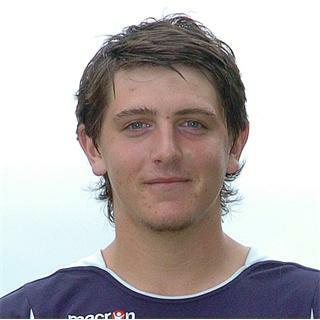 On 12 October 2010, he made his only appearance at first team level when he played in the Hillier Senior Cup win over Daventry United. He spent most of the season on work experience with UCL side Northampton Spencer, and Southern League Division One Central side Soham Town Rangers from March 2011, but also helped the Youth side to victory in the Midland Youth Cup Final against Chesterfield, scoring one of the goals. After the end of his scholarship, Jake returned to sign for Soham Town Rangers in July 2011, but left after a short period. Following a brief spell at UCL Premier side Northampton Spencer, he joined fellow UCL side Irchester United at the end of September 2011, scoring on his debut on 1 October. In mid-February 2012, Jake left the Romans, and joined rivals Cogenhoe United. He left the Cooks at the end of the season, and joined the newly formed UCL Division One side AFC Rushden & Diamonds on 12 July 2012. After 52 appearances, and 5 goals for Diamonds, Jake joined UCL Division One side Irchester United in early August 2014. He then went on to play for Wellingborough Town, who he was still registered with in 2018/19.